Holy Canoli! What IS That? Well, I just called it a prehistoric-looking bug, but my friend Travis did a Google Search and came up with the common name, scientific name, and an article about the beast. It turns out it is a “true bug,” something my Dad had tried to tell me about once – that there were insects that were truly bugs, and insects that were not – a member of the Assassin Bug family. And look there on its proboscis, a little assassinated insect from which it is presumably drinking the juices! 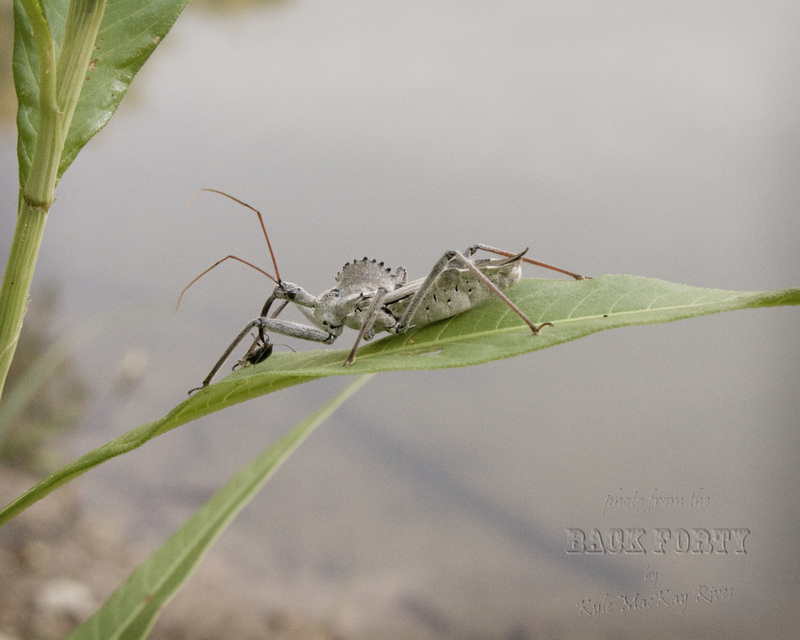 This entry was posted in afternoon flashback, photography and tagged Arilus Cristatus, bug, insect, nature, photo, Photograph, Photography, summer 2011, wheel bug. Thank you :o) It was startling to realize how numerous they were – all around me – and I hadn’t even noticed!